Summer is in the air! Can you feel it? It’s hard to believe it’s almost here. Eeek! 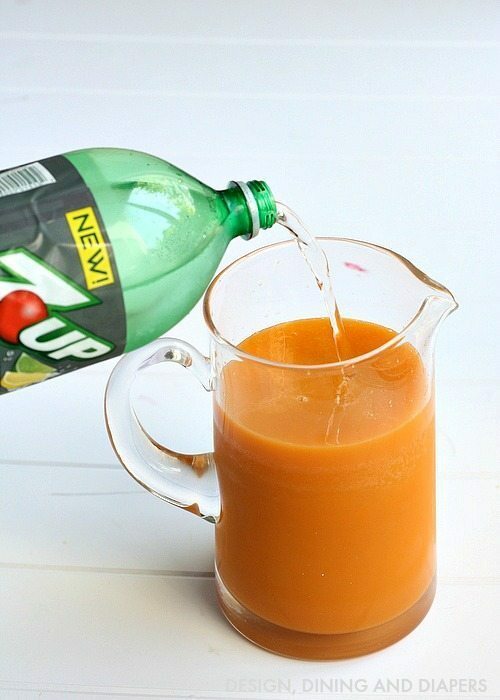 I have such an easy and healthy summer drink recipe to share with you today, a Mango Raspberry Punch with a splash of 7 Up TEN. 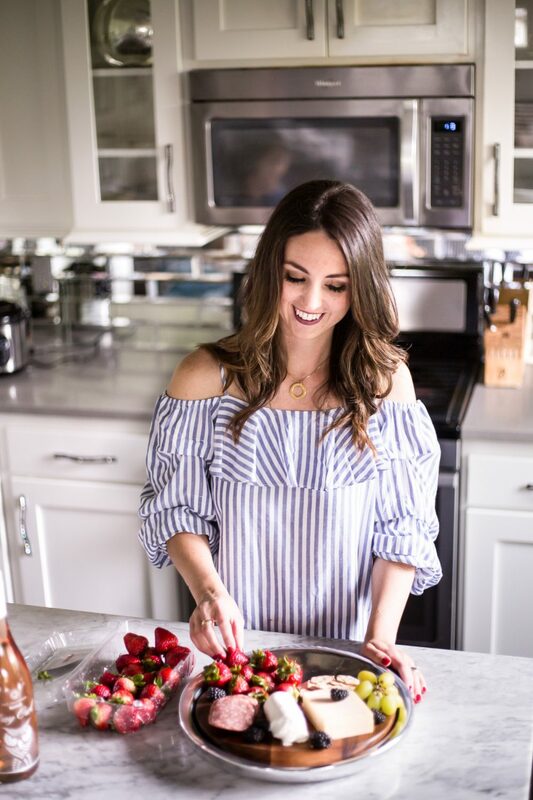 It’s something I came up with on a whim a few years ago when I was craving something sweet and refreshing and now I’m turning it into an even healthier recipe by adding 7 Up TEN (Just 10 calories per serving! ). 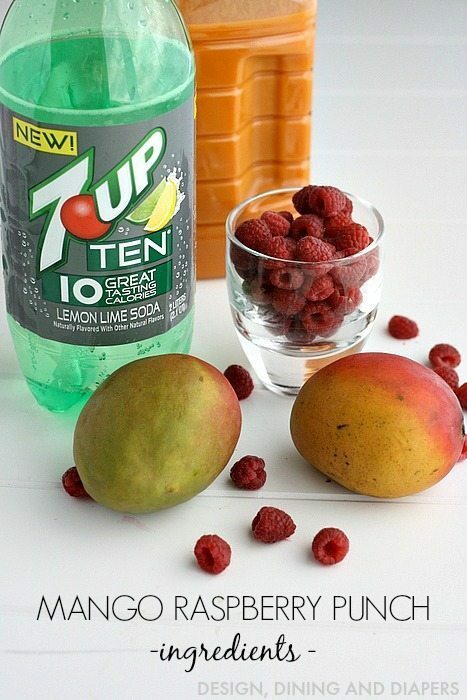 The sweet flavors of real fruit juice mixed with a punch of 7 Up TEN and those delicious fresh raspberry and mango ice cubes hit the spot every time. You can find me whipping up a batch of this after I’ve been DIYing for a few hours, or after the kid’s go to bed and I need to satisfy my sweet tooth and not feel guilty about it! For the punch. Mix a 50:50 ratio of 7 UP TEN 100 % Mango Smoothy Juice (I use Mighty Mango Naked Juice). Because I use a smoothy juice the punch is definitely on the thicker side. Just giving you a heads up! I picked up the new 7 UP TEN at Safeway this weekend. 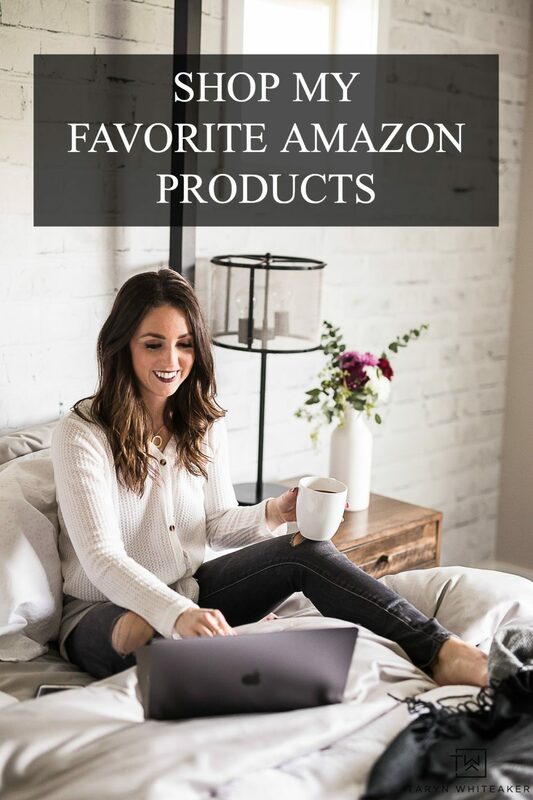 You can visit the Just For U website for a coupon for a free 2L of any flavor of the TEN calorie products (7UP Ten, Sunkist Ten, A&W Ten, Canada Dry Ten). Offer available from 5/12 – 5/19, while supplies last. 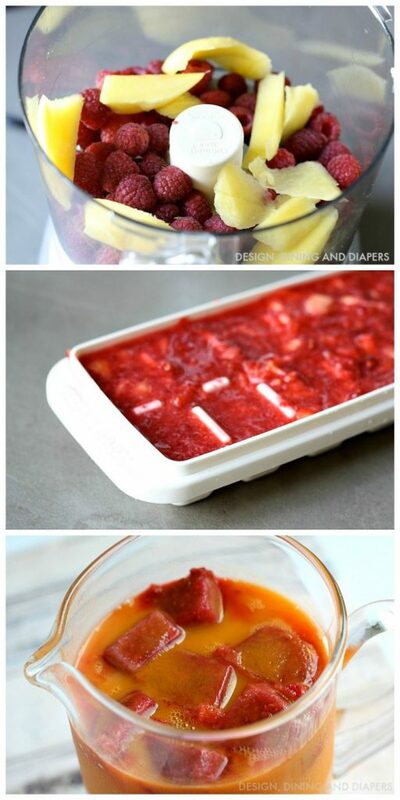 I start by making a batch of fruit ice cubes. Simply throw 1-2 cups of raspberries and mangoes into a food processor along with a cup of water. Pulse until smooth. Pour into an ice cube tray and freeze. And then add them to your pitcher or glass! I love this drink! What is your go-to drink in the summer time? Don’t miss out on other deals and drink ideas! Follow Dr. Pepper and Snapple Group on Facebook and Twitter. fruit ice cubes, now that is genius. 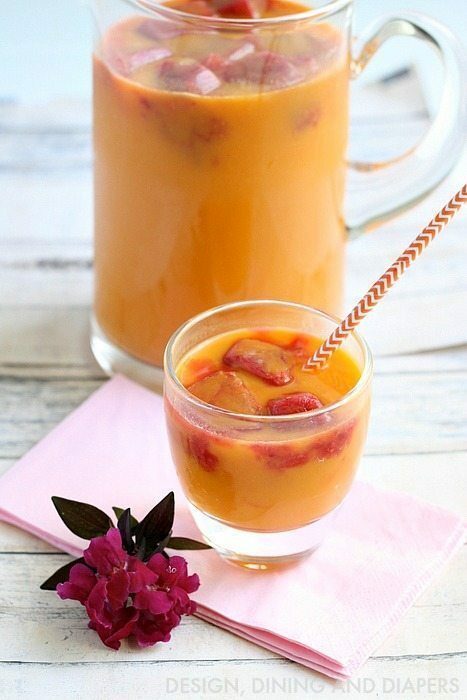 this looks so refreshing!